Required for September 2019, an enthusiastic and highly motivated classroom practitioner with the ability to motivate and challenge pupils. the very best Catholic education for all our children. 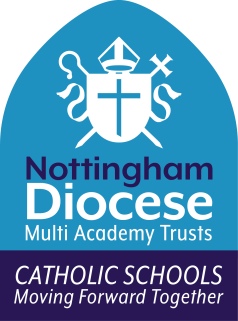 employer will be Our Lady of Lourdes Catholic Multi-Academy Trust. • a bright, cheerful and supportive working environment with excellent facilities situated in the very pleasant rural surroundings of Wilford Village. are supportive of the school’s Catholic character and Christian ethos. Closing date: Friday 22nd February 2019 (9am) with the intention of interviewing shortly after. according to our policy on safeguarding children and safer recruitment. The school is committed to ensuring a vigilant and safe school culture, with all staff and volunteers working within an agreed school code of conduct.